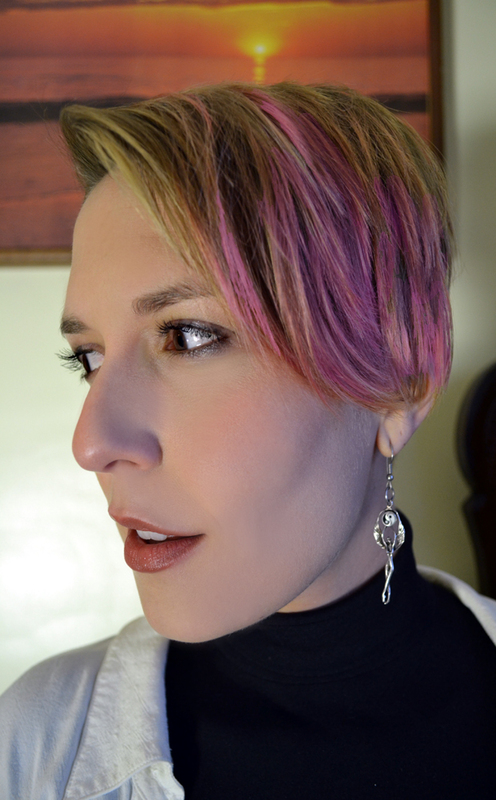 dressed up like a lady: My (New) Stone Temple Goddess Earrings. My (New) Stone Temple Goddess Earrings. When I was in 7th grade, I had an amazing pair of silver earrings I'd bought at Claire's. At the mall. With my mom. (Yeah, you heard). This was in 1993, and these earrings were a perfect encapsulation of the pseudo-hippie/MTV-mysticism of the moment: Sinewy silver goddesses holding up little resin yin-yangs. I love, love, loved them. I called them my Stone Temple Goddess earrings, because I was 12, I liked Stone Temple Pilots, and it's not like a goddess figure intermixed with the chief image of Chinese philosophy had a basis in anything other than modern pop culture. Anyway, they got lost over the years and I never thought I'd see them again. You cannot imagine the hyperactive bouncing, smooching, and squealing that overtook the scene when he gave me these. I decided to wear them with an outfit that resembles exactly what I wore in middle school with my original pair (aside from the heels). What an awesome story and a super sweet gift! You look amazing, as usual, darling! P.S. Totally remember Angelina in the white tux ~ so chic! I am so giddy for you! That was so sweet of MC. Do not ever feel bad for posting about your amazing love. I love reading about it. We would have been fast friends if we'd known one another in person while growing up. I don't have a lot of things from my childhood still (darn you, sands of time! ), but those that I do are treasured much like your 90s earrings and looking at them always brings back powerful memories for me as well. Thank you for sharing this lovely memory and snippet of your past with us, dear gal. Looking very chic, love those shoes. love the story about the stone temple earrings ... how great that your hubby fiund them for you. 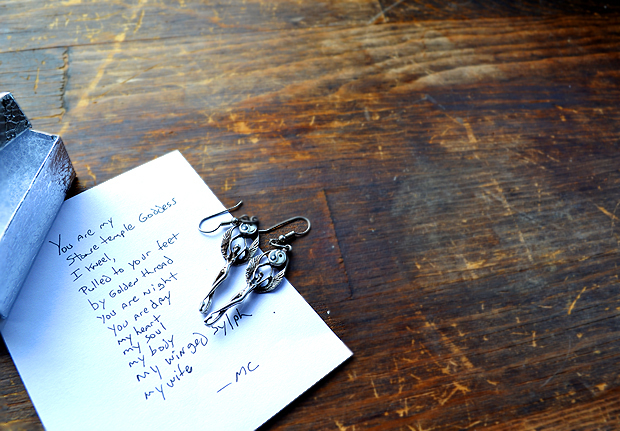 Earrings & a poem; perfect! Love the outfit you wore with them too! The earrings are beautiful. But the story surrounding it.... their history and meaning in your life and then MC gifting you those.... that is the most beautiful part actually. God bless you both ! You are the sweetest couple ! tiny tank top and some long flowy white or tie dye skirt. when you found MC - you found a major winner! Do you remember belly chains? BIG circa 1995, the Clueless era. I had a yin-yang belly chain, and man I rocked that puppy! What I would't give to find that again . . .